There are three frontrunners in this weekend's presidential election in Ukraine: incumbent president Petro Poroshenko, former prime minister Yulia Tymoshenko, and Volodymyr Zelensky, a comedian whose only political experience is that of playing the role of Ukraine's president in a television show. 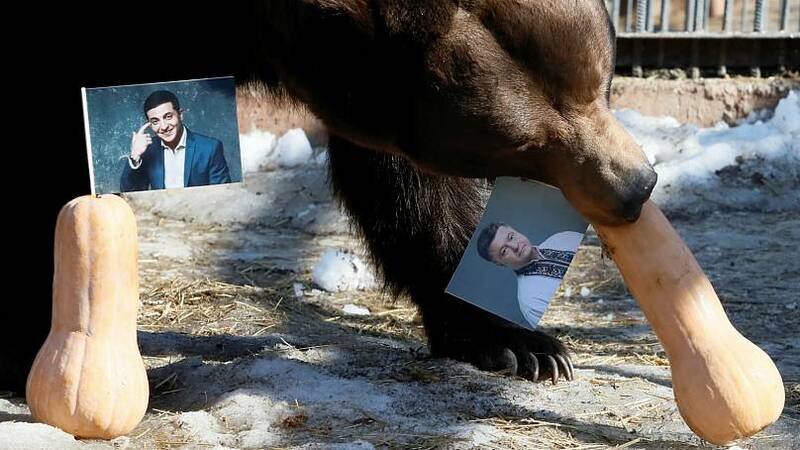 While polls may be pitching Zelensky in the top spot, predictions on the outcome have also come from other unlikely places. READ MORE: Ukraine presidential election: how do Ukrainians feel ahead of the vote? 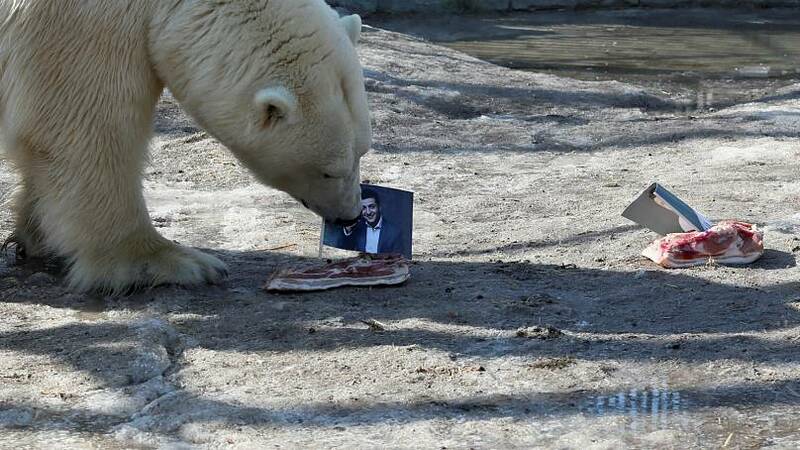 Animals at a zoo in Krasnoyarsk, Russia, have also been placing their bets on their neighbour's next president, but results have so far appeared mixed. 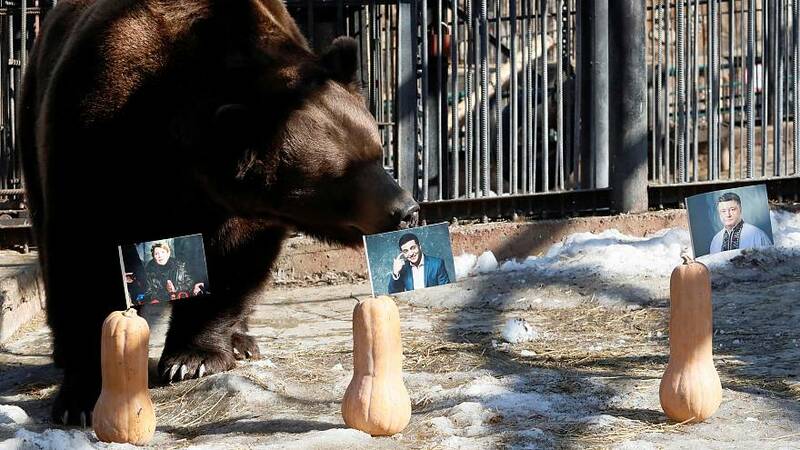 First up was Buyan, a Siberian brown bear, who was tasked with picking from pictures of the three favourites, with each positioned on top of a butternut squash. Buyan appeared to favour incumbent president Petro Poroshenko for victory as he bit down on the right-hand squash. Next was Aurora, a female polar bear, who was offered pictures of the same three candidates, which were impaled into three slabs of pig fat. Aurora picked the current favourite in the polls, Volodymyr Zelensky. This is not the first time the zoo's residents were consulted for their political predictions. A polar bear and tiger were asked back in 2016 for their favourites in the US presidential race between Donald Trump and Hillary Clinton.